We lived in a two bedroom apartment in the middle of the city when my husband made the first livestock purchase of our marriage. Bidding in an online pig sale, he made us the owners of a beautiful crossbred gilt with nowhere for it to live. No barn, no plan, no pig feed, no truck or trailer, absolutely nothing we needed to start a livestock business. We couldn’t even fill out the shipping information for where this gilt would go. The planner in me panicked. What in the world had he we just done?! Though not necessarily comforting at the time, he wasn’t wrong. There was no way we were going to be able to start a livestock business alone. Whether you’re raising pigs or cattle, it takes a good team to get the job done. For Jamie Hoffman of Hoffman Angus in Otwell, Ind., winner of the inaugural Certified Angus Beef Angus Value Discovery Contest, his herd’s success stems from his original partnership with his dad. The late Albert E. Hoffman, instilled a disciplined focus on quality genetics and animal care in his son — values Jamie has continued to integrate into their herd. The hard work has paid off, in premiums and recognition. His grand champion pen of 40 graded 100% Choice or better, with 75% qualifying for the Certified Angus Beef® (CAB®) brand, including 32.5% Prime. But the success wasn’t his alone. 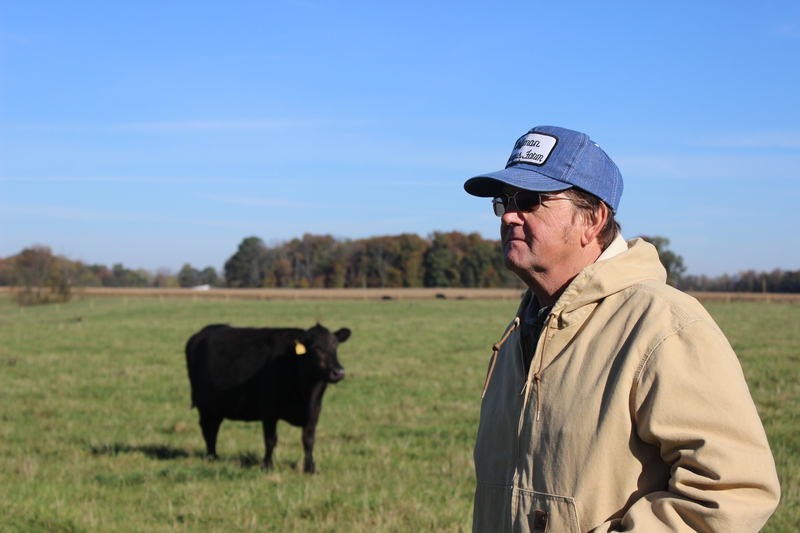 When Jamie couldn’t find the balanced carcass and performance genetics he needed, his search for a new bull supplier led to James Coffey of Branch View Angus, in Hustonville, Kentucky. Jamie’s cattle buyer introduced the two and understood their shared vision for producing cattle that perform on the rail. 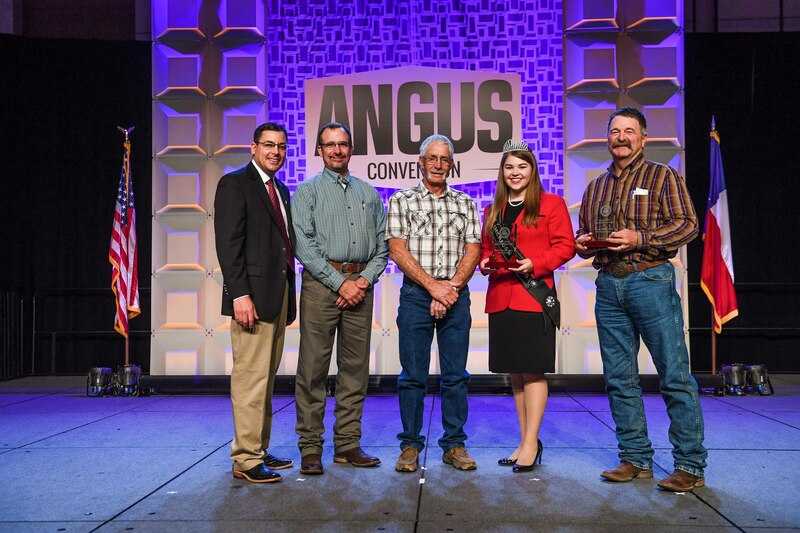 In November at the 2017 Angus Convention in Fort Worth, Texas, the two stood next to each other on stage as Jamie accepted the Grand Champion Award. The reserve winners of the Angus Value Discovery Contest went to a partnership that spans the beef industry. Mark Gardiner of Gardiner Angus Ranch, Ashland, Kan., nominated long-time customer Randy Bayne of nearby Protection, Kan., along with his feeding partner and veterinarian, Randall Spare of Ashland. A customer of Gardiner’s for more than 20 years, Bayne said he has leaned on his suppliers’ expertise when selecting carcass genetics and Spare for creating the optimal health program. Both Gardiner and Spare credit the commercial cattleman’s management skills and business sense as a key success factor in producing high performing profitable cattle. I snapped photos as the winning cattlemen received their awards and headed back to my seat reflecting on the people that have contributed to the success of my family’s own livestock business. The night we made a snap decision to buy a pig could have been a bit of a disaster, but with the help of great friends and business partners, a spontaneous decision has grown into a profitable business. Although hanging show pig banners is a bit different than creating high-dollar, high-quality carcasses, neither version of success happens alone. It’s about more than hard work and great genetics — having the right people in business with you can make all the difference. Producing high quality beef requires an excellent genetic supplier, a superior health program, a great feeder, a careful rancher making sure those calves never have a bad day and of course patient mentors who pass along their wisdom. When it comes down to it, genetics and management are vital, but the right people by your side help drive the decisions that produce profitable, high quality beef. P.S. Want to enter the 2018 Angus Value Discovery Contest? We’ll start accepting entries in January and more information will be available at cabpartners.com. 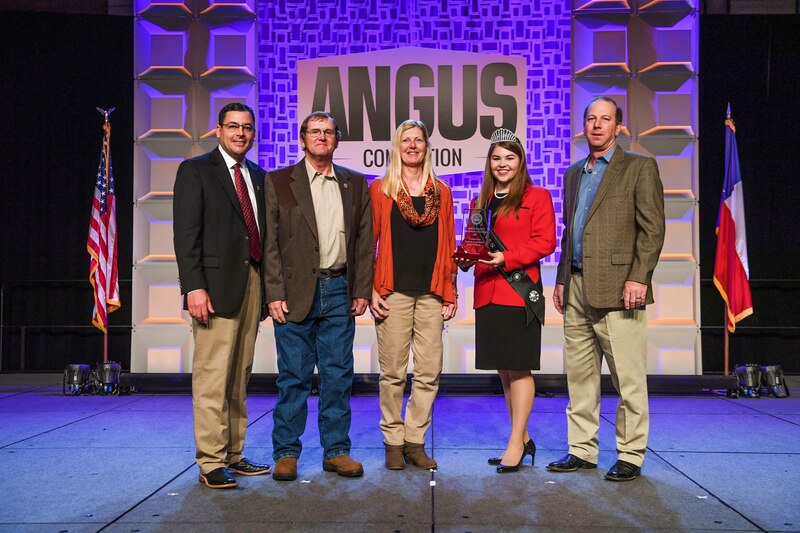 Look for more on this year’s winners in upcoming issues of the Angus Journal!